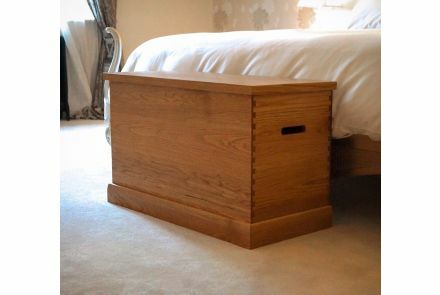 Our handmade Riya Trunk Coffee Table not only looks great but offers ample storage space. The hinged table top folds open so that you can store your living essentials inside. It is the perfect piece of furniture if you lack storage space but at the same time want to bring a beautiful coffee table in to your home. 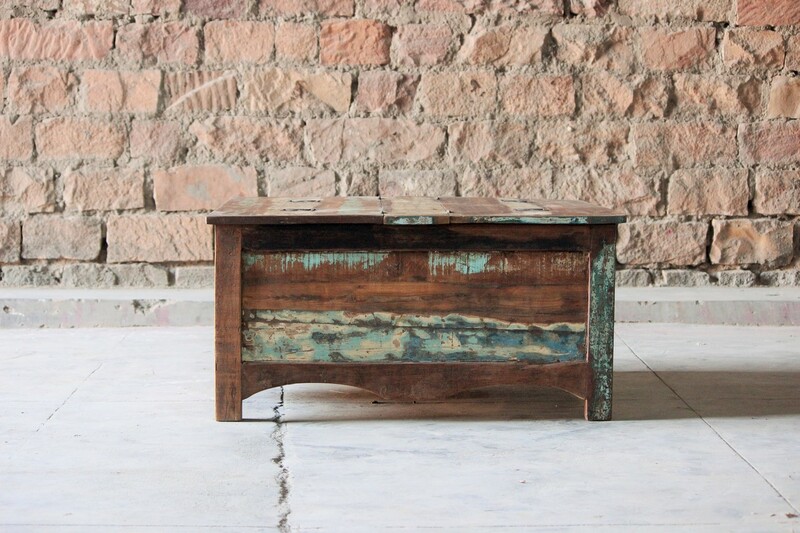 Our Riya Trunk Coffee Table has been made from reclaimed wood that we have sourced from old fishing boats in India. It has been handmade by our talented craftsmen, which have done an excellent job in preserving the original colouring of the wood. Every Riya Trunk Coffee Table we make is unique, so please be aware that there will be variations in colour from the displayed photo.